Cirque du Soleil is taking NYC by storm in 2016, with Paramour on Broadway, Toruk (Avatar) in September and Kurios in October. 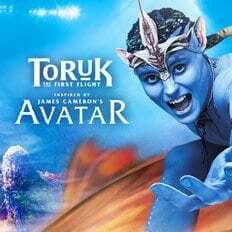 Inspired by James Cameron’s Avatar, TORUK – The First Flight, envisions a world beyond imagination thousands of years before the events depicted in the film. Coming in October: Kurios – Cabinet of Curiosities on Randall’s Island. Step into the curio cabinet of an ambitious inventor who defies the laws of time, space and dimension on a mission to reinvent everything around him.